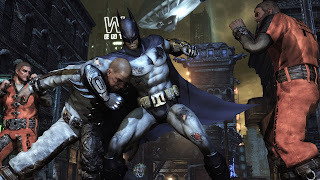 With the success of its predecessor Arkham Asylum, Batman or should I say The Dark Knight returns to keep order and take down thugs in Batman: Arkham City. 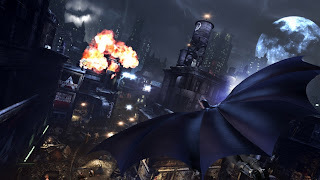 There seems to be many villains for you to take down and huge city for you to explore but can Batman: Arkham City keep the train of success running? Or will it be stopping at Arkham City station? 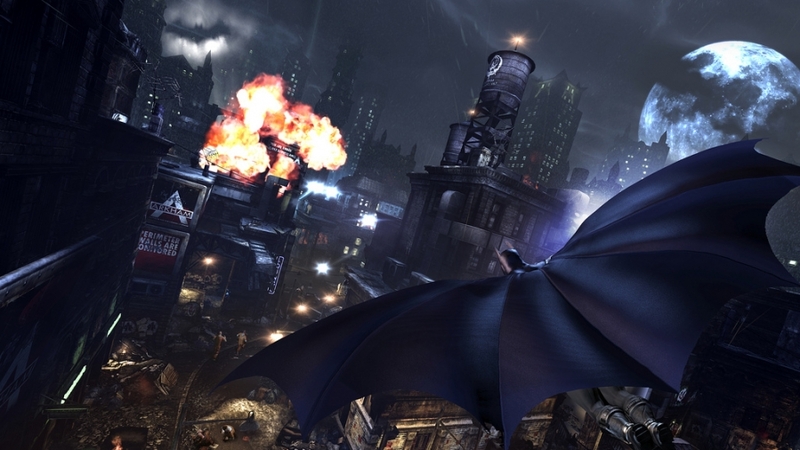 Arkham City carries on months after the conclusion of the last game. The former warden of the Asylum has become the new mayor of Gotham City and he’s moved all the criminals to a closed of area in Gotham called Arkham City, a somewhat super prison run by Dr Strange. Batman being un- able to rid himself of this un-easy feeling decides to go down to Arkham City and check things out for himself. Even villains need to look good! Of course the centre of the story would be Batman and The Joker but how that narrative is driven in the game is incredibly impressive. 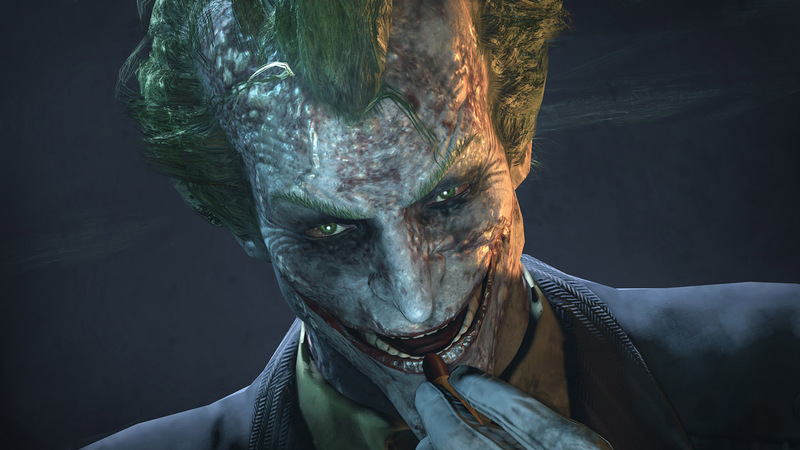 Throughout Arkham city you will hear different conversations by the thugs factions talking about the events currently happening and future events that you will encounter in the game. The only gripe I have with the plot is that there may have been too many villains for Batman to take on this time. Although having so many villains does expand the story, it also doesn't expand on each villain enough making them a kind of afterthought rather than a serious threat in the overall plot. The only villain that has a big impact on the story is The Joker. Also part of the story is Batman’s favourite lady, Catwoman. Anyone who bought the game new gets a DLC code in which you can download the character and play out her story. Most control mechanics have been kept from the last game yet this time has been polished to work better than ever. You still have your stand attack button to bring the pain to your enemies, counter button to stop attacks landing and a jump button to leap around as much as you like. Of course what I like about this is the fact that it just doesn’t become a simple fist fight, especially in later areas of the game where enemies will bring weapons with them in which you must deal with them in a specific way. This adds a whole strategic element to the combat and one that makes each encounter different and exciting. Upgrades are a great way to progress too. Once you acquire enough points from your battles you will be able to apply them to Batman. Upgrades such as stronger defence against bullets can be really helpful in the mix, especially if you’re like me and just want to head straight into battle. 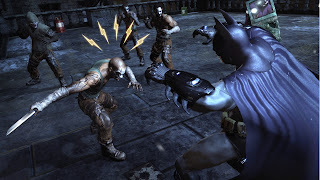 It’s also really easy to gain these points seeing that it will be highly unlikely for you to not find any criminal to beat up in Arkham City, even underground you still have a good chance. In a way it’s a must for you to improve what you have as enemies don’t become softer as you go along, even for me with all the upgrades it still feels like I’m at a disadvantage against some of the tougher thugs towards the conclusion however when has Batman ever had it easy? You may remember Detective Mode from the last game in which you can see everything in your vicinity in order to plan an appropriate attack. It’s back again and has a much bigger purpose than it did before. The mode now has greater impact on the gameplay in terms of looking for evidence to know where to go next; you can also use it to tag Riddler trophies you find lying around in case you may want to come back to lit later. The obvious big help the mode has is during a situation where hostages are involved, being able to fully plan out a route to take out the offenders without alerting everyone else makes certain missions more dynamic and purposeful rather than the usual run in and beat everyone here to save the day. Sound is used brilliantly in the game depending on the situation you’re in. It can make you feel the adrenaline of taking on 20 people at once or the quiet ambience that makes you feel tense and sharp when going in stealth mode. As always voice acting is brilliant with Mark Hamill’s incredible yet twisted Joker and Kevin Conroy’s stern yet fierce Batman makes character dialogue an absolute joy to listen to. It really pulls you into the game and sets the atmosphere really well. Visuals are very well detailed with amazing lighting effects that truly bring out the gritty and dark environment that is Arkham City. However it’s not just above ground that has been tended to, even the lower levels of the city feature a graphical quality that deserves it praise, regardless of the amount of times you may visit said place. Arkham City looks and feels amazing!! Character models and animations are really well done, especially when it comes to cutscenes making their performance both engaging and immersive. If there is one tiny defect with this, it would have to be Batman’s walk animation. Of course he’s a big strong dude and that armour he’s wearing probably weighs a lot however his walk still looks awfully stiff and doesn’t flow well compared to all his other movements. Batman: Arkham City is a gaming experience that’s one for the ages. With new additions and reworking the old, Rocksteady have managed to create another Batman game that not only defeats Arkham Asylum but leaves it in the dirt. The gameplay fundamentals are solid, the graphics are amazing and to top it all off, it delivers a strong and engaging narrative which seems to work hand in hand with everything else. It may have been thought possible for Rocksteady to come up with a game that would surpass Arkham Asylum however Batman: Arkham City does that and I truly believe it to be one of the best games of this year.